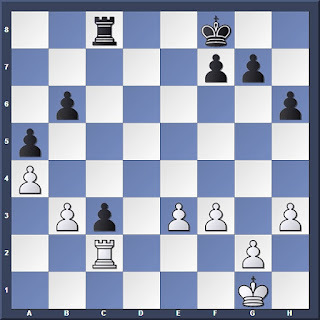 This may look like a complicated scenario, and Black cannot save that pawn on c2. 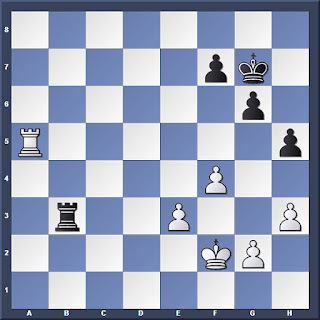 However, Nakamura found a way to simplify the game by trading off all the Queenside pawns, leaving behind a 4 vs 3 position that is a theoretical draw. 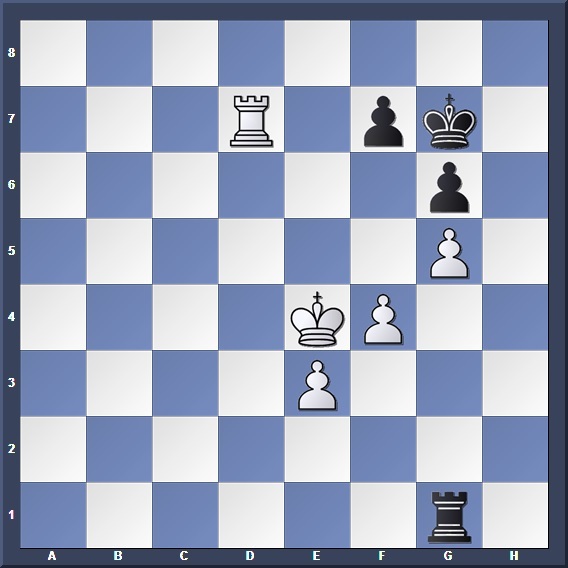 So let us look at how Black defends accurately in this rook endgame, and take it as a refresher of what we have gone through earlier. If 43. Kf3 then 43... Rb4 followed by a5-a4. Now we have a 4 vs 3 endgame. 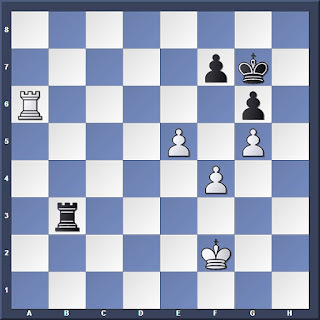 Black's pawn structure prevents White from grabbing too much space in the centre. 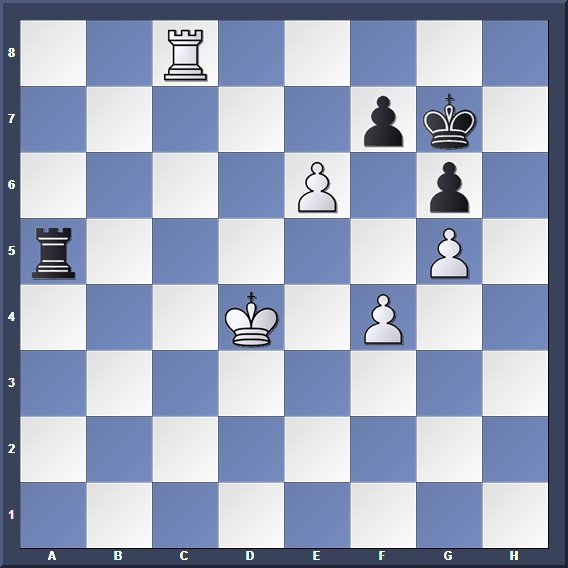 This allows Black to draw by keeping his rook active, and seeking out soothing pawn exchanges. 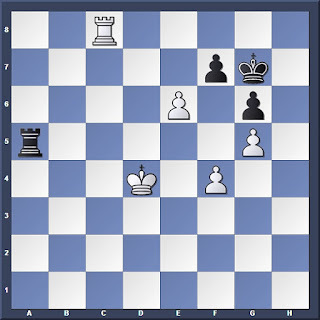 Notice how Black's rook ties down White's king to defending his pawns. Trading one pair of pawns. Now it's a 3 vs 2. White wants to use his pawns to grab enough space to "squeeze" Black. Black simply continues using his rook to interfere with White's plans. Wisely avoiding the rook trade. 60... Rxd5+?? 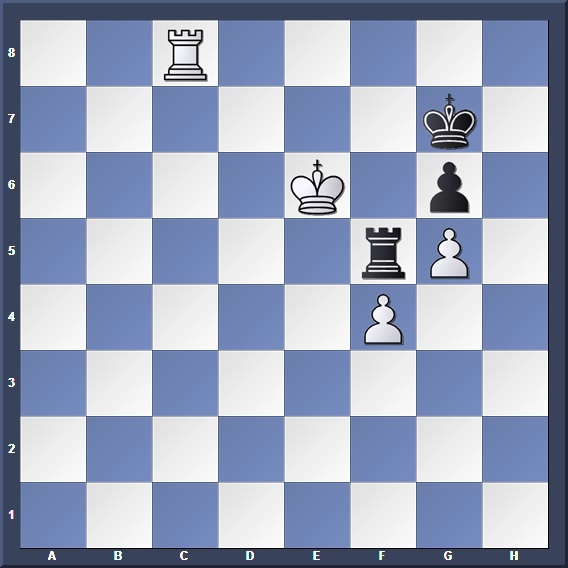 61. exd5 is winning for White. Or 61. f5 gxf5 62. exf5 reaching an easily drawn 2 vs 1 position. 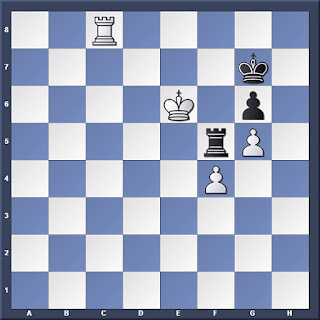 Cutting off White's king from the pawns. Once again, the key to drawing lies in active rook play! 89... Rxc5?? 90. Kxc5 would really win for White, but no one is buying this. With an easily drawn 2 vs 1 position. Carlsen finally decides that he has enough. This game shows how important it is to have a good understanding of rook endgames. 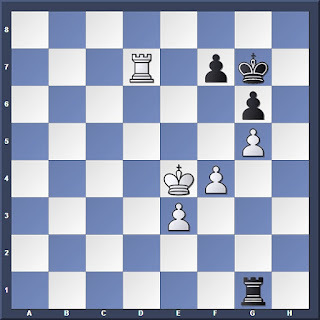 Without the necessary foundations, Nakamura would not have been able to defend correctly and secured the half-point.